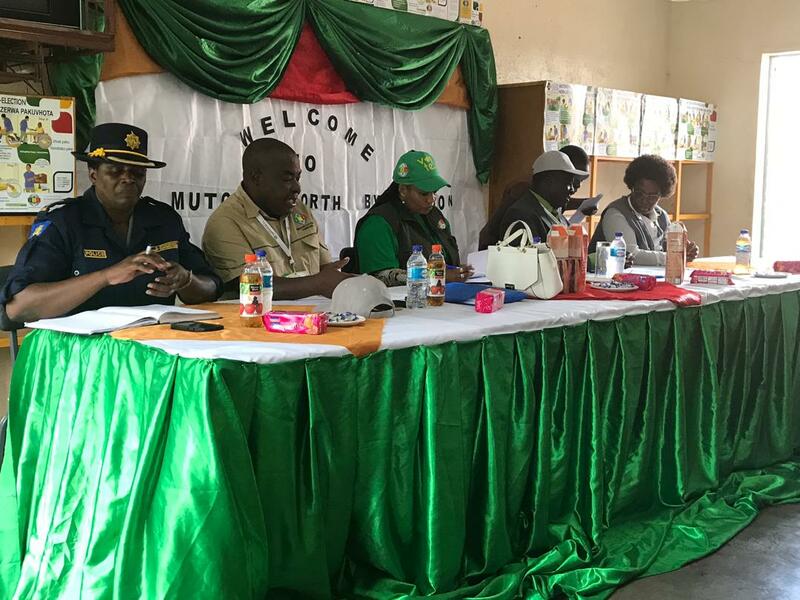 ZEC Chairperson Justice Priscilla Chigumba attends an election meeting at Mutoko High School on 24 November 2018, the Mutoko North National Assembly Constituency by-election day. 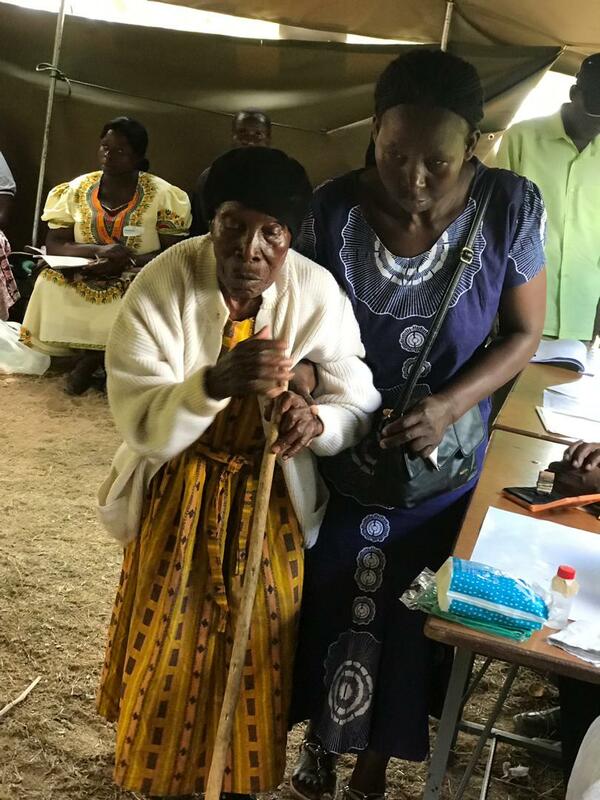 Juxtaposed is a picture of an elderly woman being assisted to vote. Voting was peaceful. See election results on the notice board.